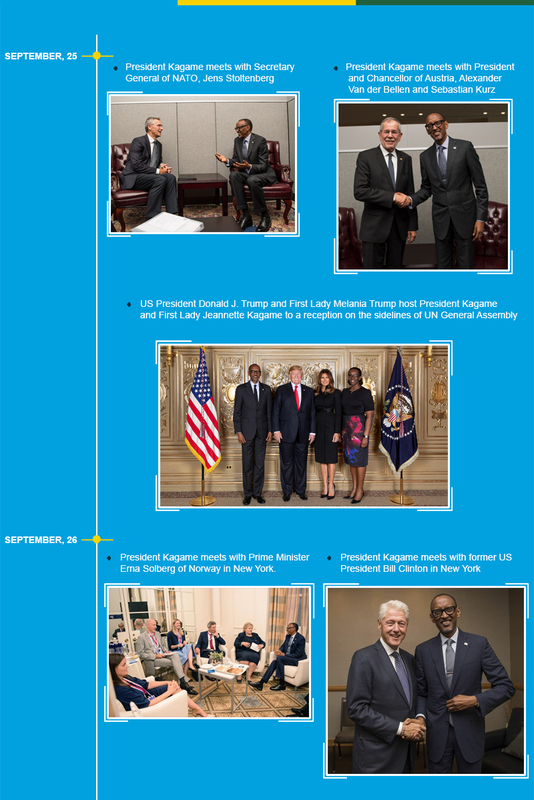 Heads of State and government are all converged in New York for the 73rd UN General Assembly (UNGA). 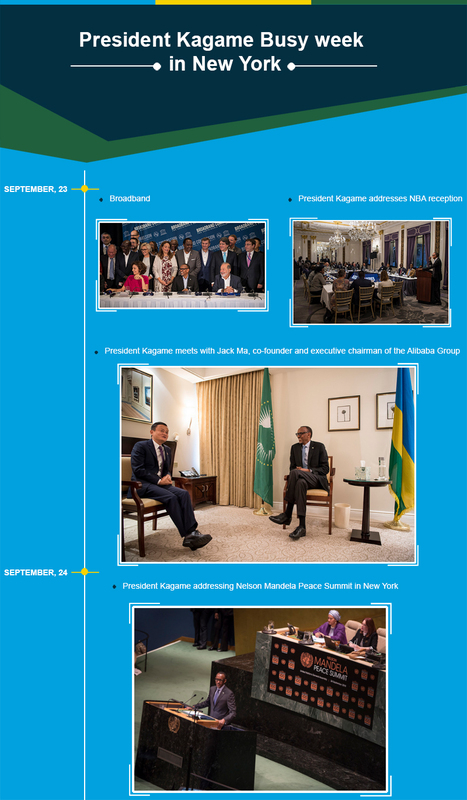 Since September 23, President Paul Kagame of Rwanda has had a busy stay there as his responsibilities also include overseeing global relations with the African continent. 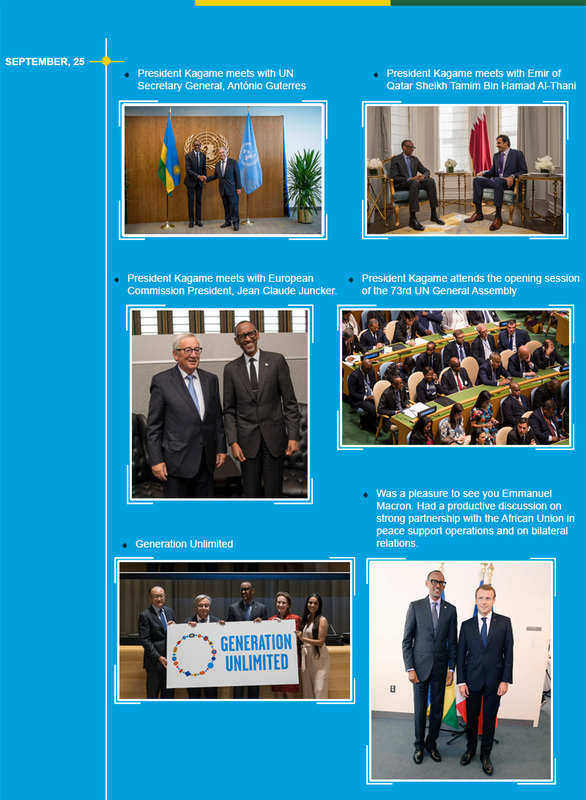 Kagame has met political leaders, business executives and campaigners. He has to lobby for Rwanda and the continent as current Chair of the African Union. 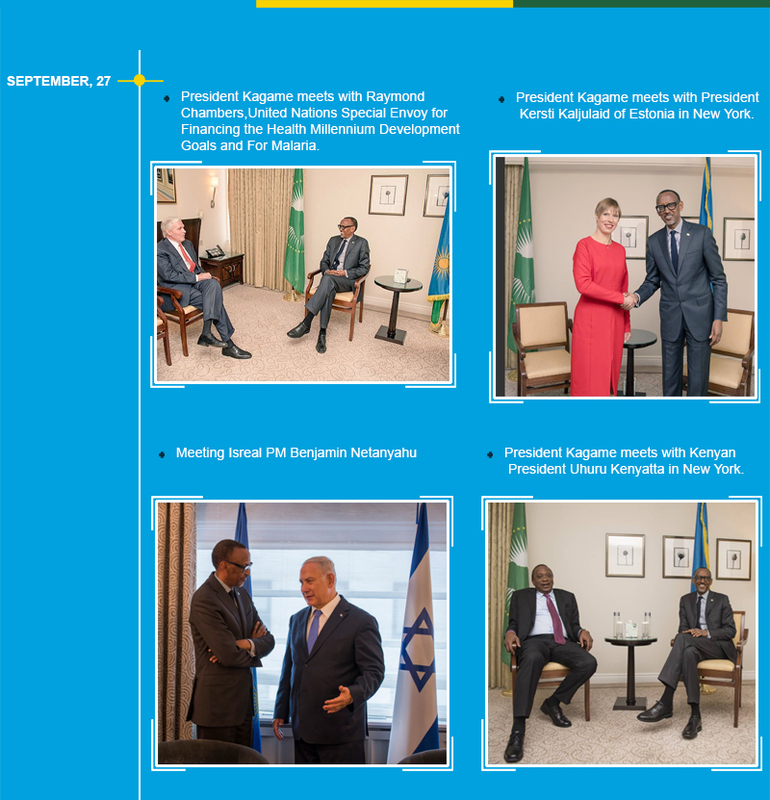 Here is a glimpse of Kagame’s US trip.